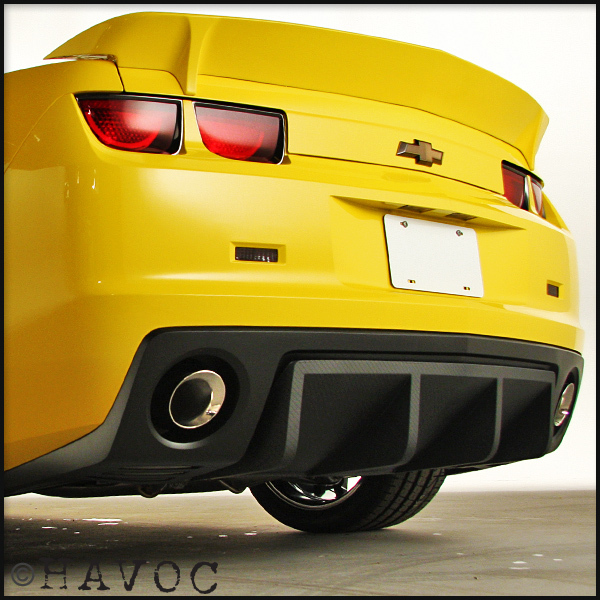 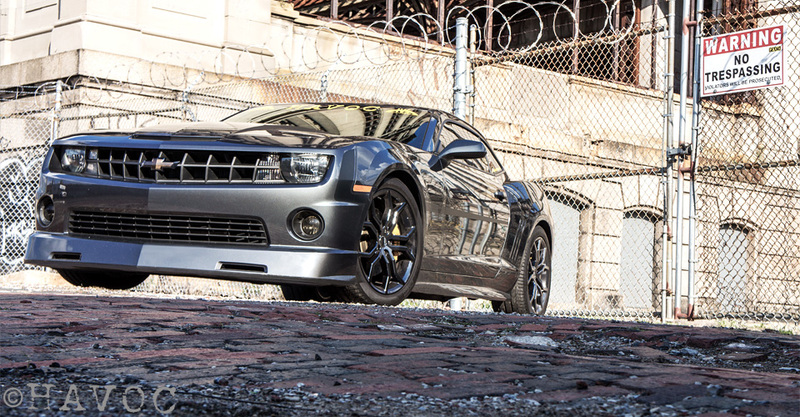 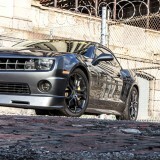 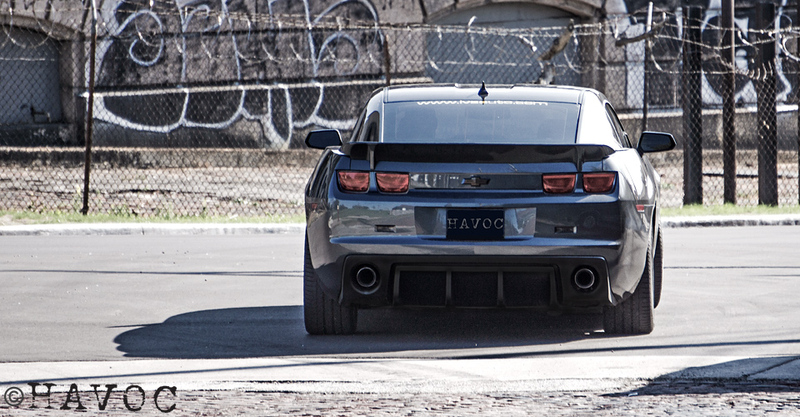 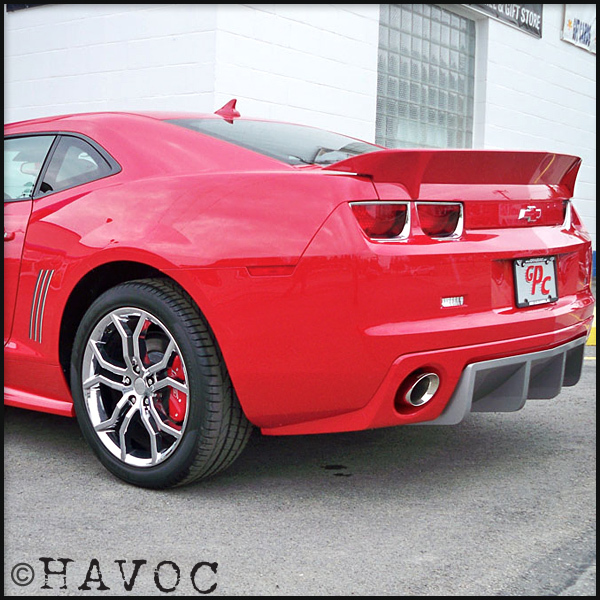 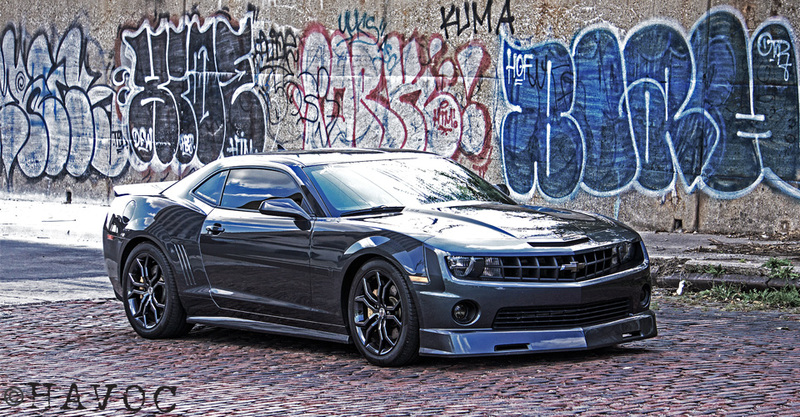 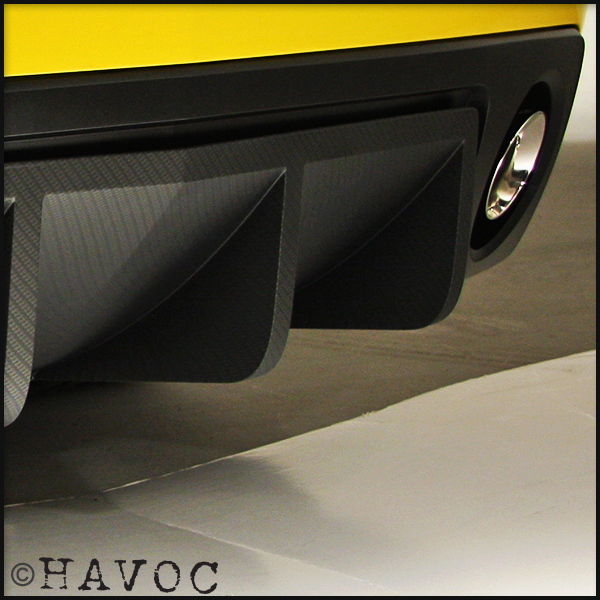 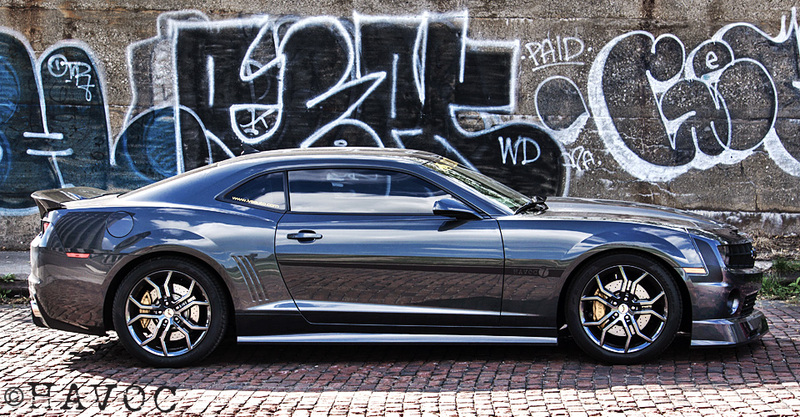 Give your Camaro’s rear end a fresh clean look with The HAVOC Camaro Rear Diffuser. 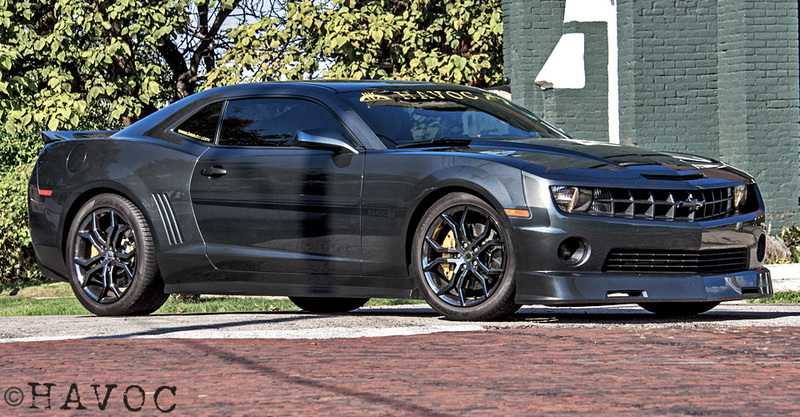 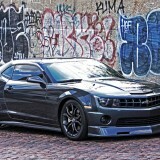 This piece works perfectly by blending the low hanging exhaust of the stock Camaro into a seamless “built-in” appearance. 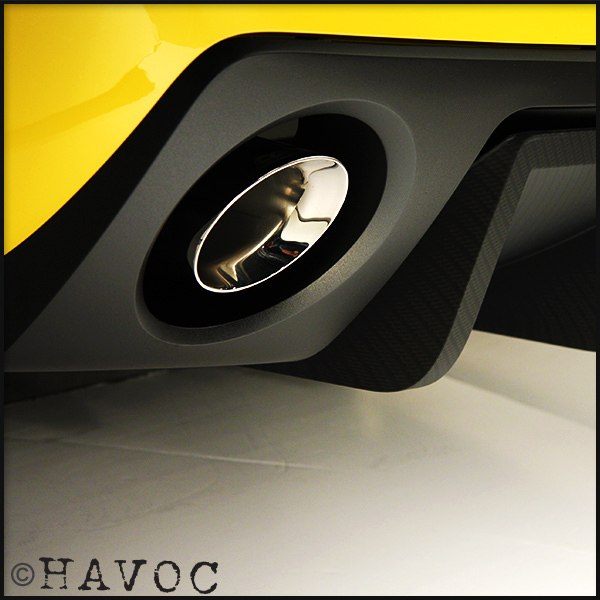 Choose the applied carbon graphic for an attention grabbing detail found nowhere else! 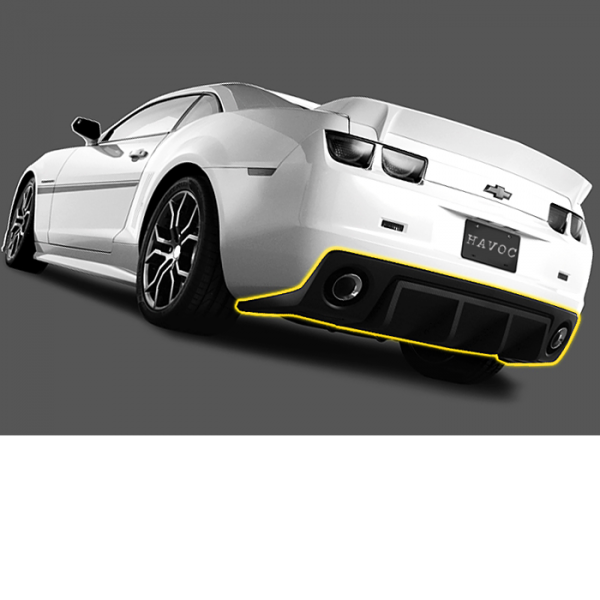 The diffuser comes in an easy to install two-piece design. 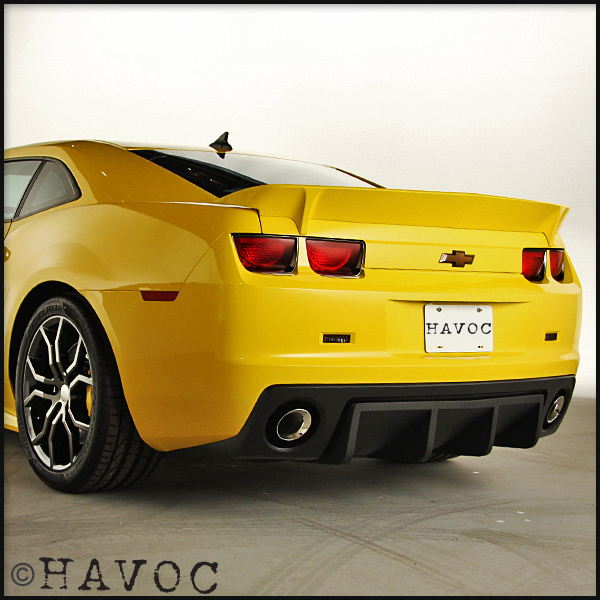 All parts come primed and ready to paint or complete with carbon fiber graphic.